It is our intention and heart's desire to create this place to let it be a place of growth & blossoming in a joyous togetherness in Oneness. We are delighted to meet you here, but also through our private sessions, workshops or at one of our other events. Be welcome! 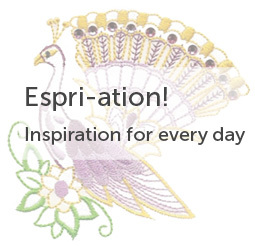 These are the words that Esprit Soul Works™ breathes and Jeroen and Gerlinde Schilt inspire. To learn-let-be the Essence of each and everyone be the clear compass that it is, to create one’s personal heaven on earth and… to share this joyously with one another. The time in which we travel is a really special time which opens the door to living infinite possibilities. If we are willing to take the leap and fully engage in this play that is called ‘life’, then we can freely live out loud from our hearts. In a powerful connection with our Essence, together with our Essence~Connections, All that Is and all that lives and breathes, we can create the life we love to live and expresses our unique inner being. You are invited to travel along on your journey in creation and manifestation! If you have any questions on your way while being here, please feel free to contact us.